A look at some key stats on ecommerce and digital in the Middle East, from online sales growth to payment methods. Ecommerce in the Middle East is still in its infancy when compared with other regions around the world. For example, ecommerce accounted for just under 2% of all retail sales in the region last year, compared to 16% in the UK and 14% in the US. This does mean that there is lots of room for growth, and there are many predictions that online sales will rise in the next few years. 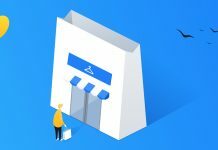 Indeed, sales grew by 24.9% in 2017 over 2016. 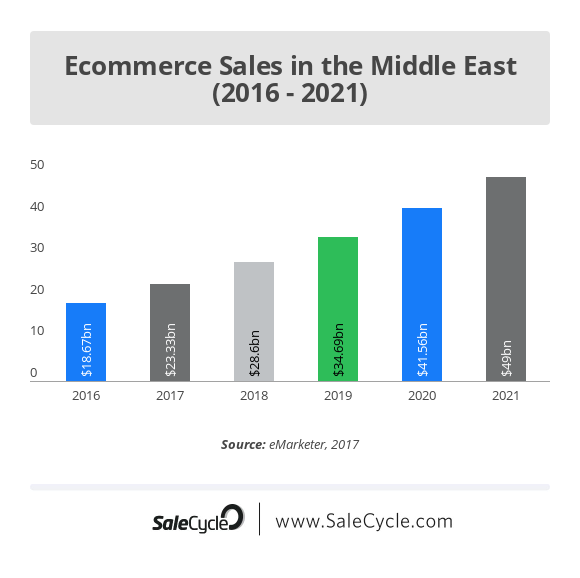 The Middle Eastern ecommerce market will be worth $49bn by 2021, according to predictions from eMarketer. While ecommerce is growing in the region, it still lags behind other regions in terms of online purchases, according to Global Web Index. 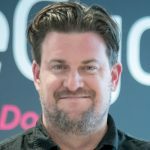 From We Are Social’s 2018 Digital Overview. Rates of internet penetration vary wildly in the region, according to stats from Deloitte. 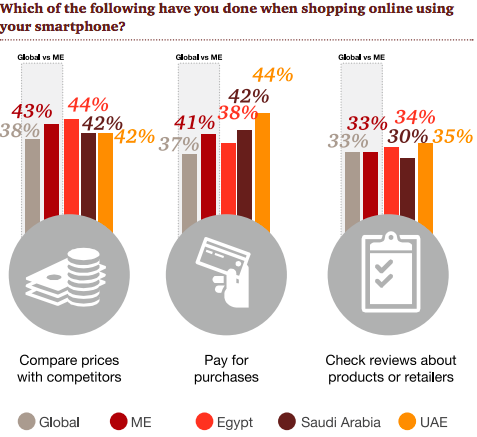 According to a survey by PWC, 56% of Middle Eastern shoppers say mobile will become the main way they purchase items online, with 41% having already used their smartphone to pay for purchases. 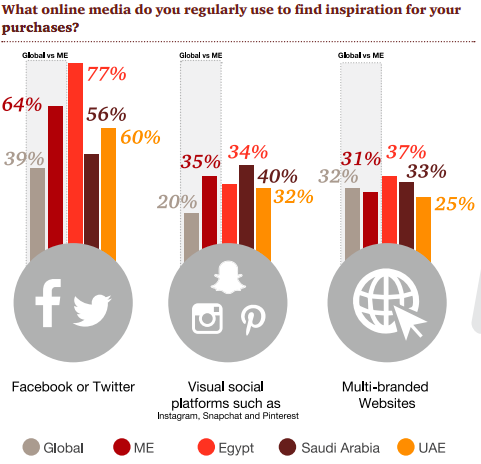 64% of Middle Eastern shoppers told PWC that they use Facebook or Twitter when finding inspiration for purchases. 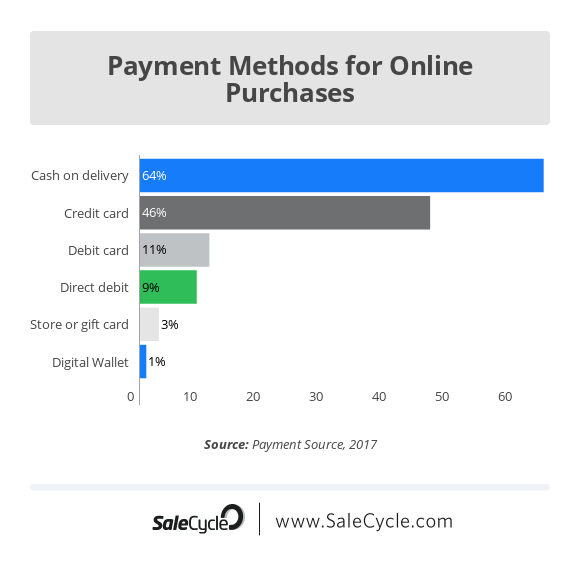 Cash on delivery is currently the dominant payment method for online purchases in the Middle East. 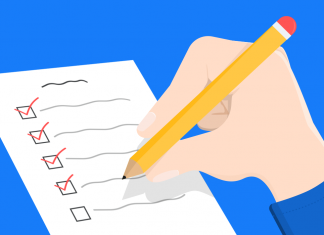 It accounts for 76% of ecommerce orders in the region, and tends to have a higher returns rate – 19% compared to 9% for card payments. 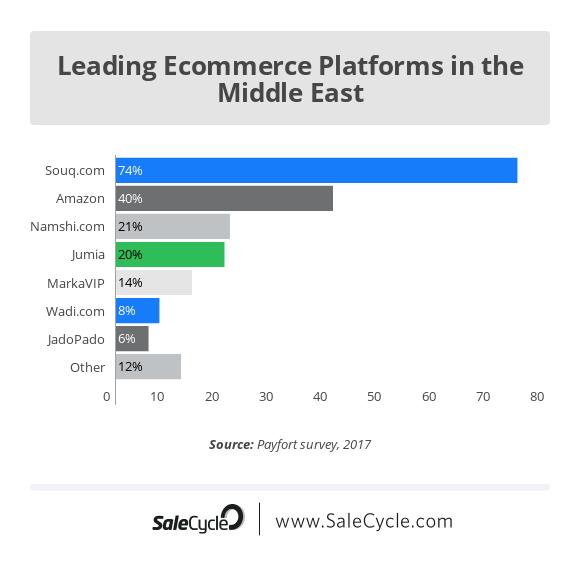 Souq.com, acquired last year by Amazon, is the most popular ecommerce platform in the Middle East.